~40 million miles / ~64 million kilometers of Space. 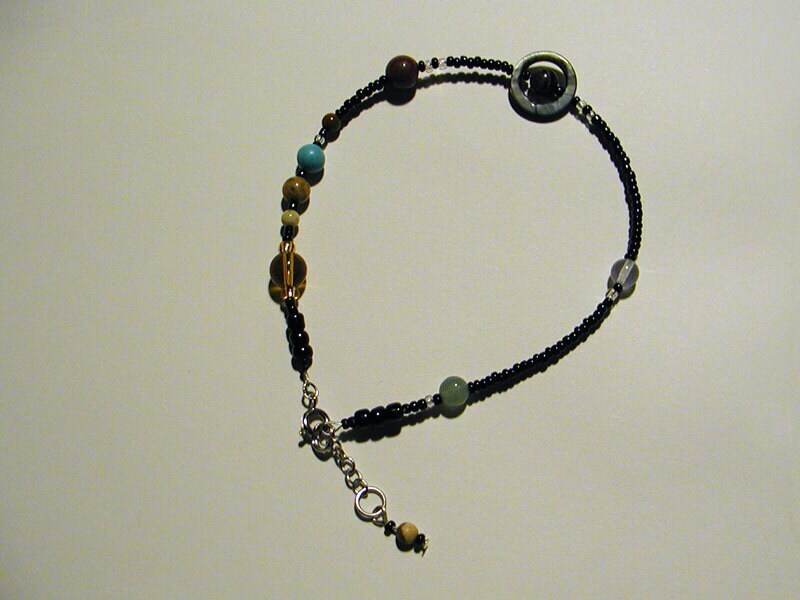 This anklet includes the Sun, Mercury, Venus, Earth & our Moon, Mars, Jupiter, Saturn, Uranus, and Neptune. Planets with many moons have opalescent glass beads next to them. This special version of our classic MiniVerse anklet features the popular and controversial dwarf planet Pluto as a charm on the end of the fastening chain. can be extended up to 11.5 in / 29cm by using the chain. 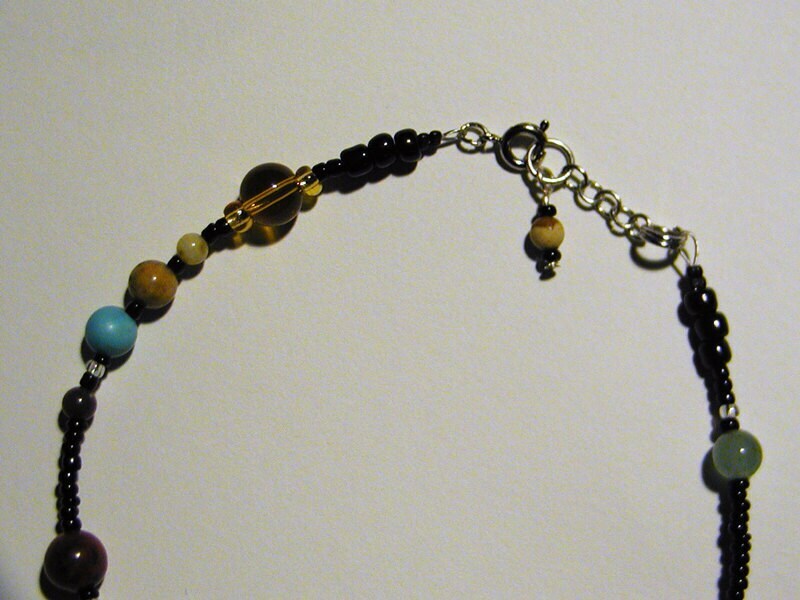 This anklet is designed to sit comfortably just below the main bones of the ankle. We are happy to make this item as a bracelet or anklet: if you want a custom length or clasp, please specify your preference in the "message to seller" area, or send us a conversation through Etsy. 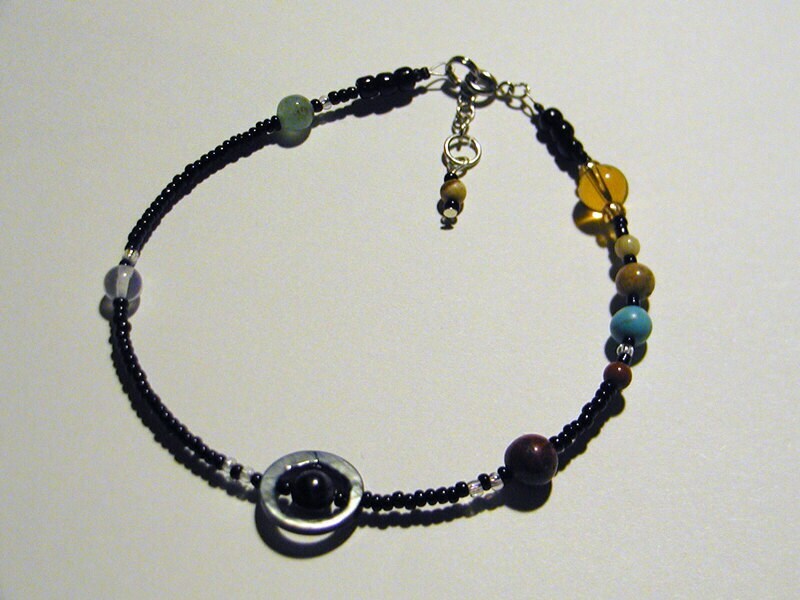 Please visit our Astronomy section for the matching "MiniVerse Necklace" and more! Read more about the Solar System Jewelry Series! The saturn's ring on my anklet was multi-chrome and it really made me happy. They included a little drawing of the anklet explaining the planets and what stones they were made of. Wonderful attention to detail every time! I would recommend this seller to anyone. Absolutely love it! Fast shipping. The Miniverse anklet (We Love Pluto Edition) is magnificent, even more strikingly gorgeous than I thought it would be. My astrophysicist daughter is going to love it, as well as the Jupiter and Saturn earrings I bought her to go with it. Love it! Great idea, arrived quickly and very well made.